Blank canvas F56 is a multipurpose dimension series brush. Made from synthetic fibres, this vegan-friendly, ultra soft face brush is perfect for buffing makeup in smaller areas such as concealing or even foundation application. Also useful for highlighting and contouring or stippling. 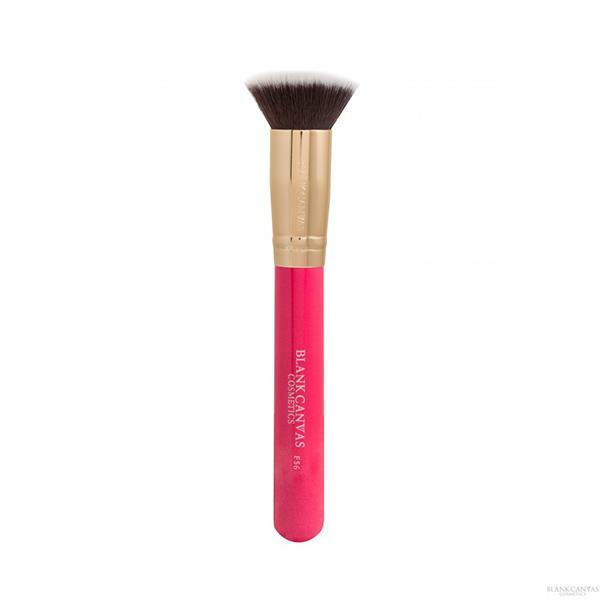 Suitable for use with cream, powder or liquid this is a must-have brush to leave you looking flawless.